Looking to buy an advanced concrete sealer and dust proofing chemical for concrete surfaces – EucoSil by Euclid Chemical in Rochester NY, Ithaca NY and Western New York? 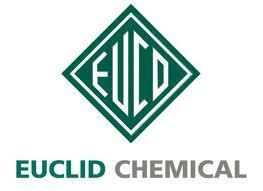 The Duke Company proudly offers a wide range of industry leading concrete sealers by Euclid Chemical. EUCOSIL is widely respected by professional contractors as a very effective sealer and dust proofing chemical. This odor free, zero VOC, water based chemical can be used for both interior and exterior concrete surfaces.